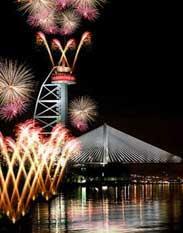 The Vasco da Gama Tower is currently closed and about to be turned into a hotel, but it will once again be one of the major New Year’s Eve attractions in the city. Sponsored by a local beer company, there will be a major fireworks show at midnight, rising up from the tower and reflecting on the river. It only lasts for about a couple of minutes, but before and after that there will be a celebratory atmosphere in the bars and restaurants nearby. That includes those of Casino Lisboa which will offer free shows. The riverfront Comercio Square was renovated this year and since two of its sides were closed to traffic, it offers more pedestrian space. That space will be filled on the night of December 31st with concerts by Portuguese bands and with the lights of the fireworks at midnight. K’s urban beach has sand and it’s by the water, but if you prefer a real, natural beach, you may choose to spend your New Year’s in Cascais. The Hotel Cascais Miragem which this year was distinguished with a Best Luxury Spa Hotel award, will have an open bar and a refined dinner service for a more sophisticated welcome to 2011. Sip a cocktail overlooking the Atlantic and relax — all you have to do is follow the semi-formal dress code of black attire. Lisbon’s Sheraton is one of the city’s tallest buildings and its top-floor bar and restaurant will be among the best places to be on New Year’s. If you want to start with dinner, it includes a cocktail, a six-course menu, wine and champagne, open bar, the sounds of a DJ and views over Lisbon for 295 euros. A less expensive alternative is just 95 euros and doesn’t include dinner, but allows you to stay at the bar drinking all night, enjoying the DJ music and the city views. 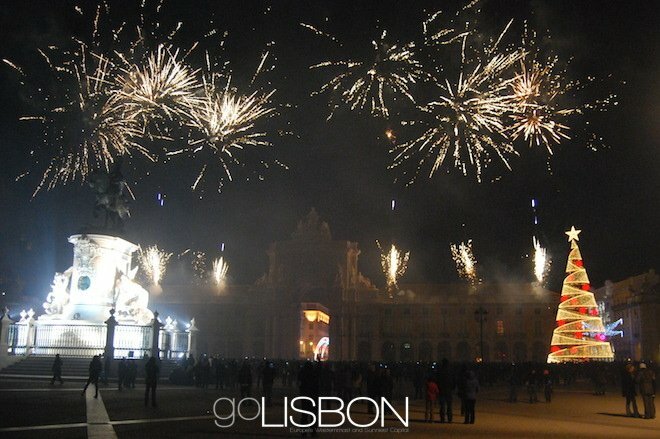 Lisbon’s biggest New Year’s Eve party usually takes place in PraÃ§a do ComÃ©rcio, the large square that opens to the river. That’s where most go to see the fireworks at midnight, and stay for the music concerts. This year however, the party must be moved elsewhere, as that square is undergoing renovation until at least next April. So the chosen location was Jardim Vieira Portuense, the lawns byÂ JerÃ³nimos Monastery in the BelÃ©m district. Before the fireworks at midnight there will be a Beatles tribute concert (don’t ask), while in the first minutes of 2010 there will be a concert by Xutos & PontapÃ©s which is one of Portugal’s biggest rock bands. On the opposite side of the city, in the Eastern district of Parque das NaÃ§Ãµes there will also be a fireworks show, this time cascading down Vasco da Gama Tower. As GoLisbon previously told you about, that tower is being turned into a hotel, but despite all the works around it, it will still be able to continue its annual fireworks tradition for the sixth consecutive year. If you’re not recovering from a champagne hangover on January 1st, head to the city’s cathedral in the afternoon. A free concert by the New Zealand Choir & Orchestra will take place at 5PM, with 50 performers who have offered concerts at most of the great cathedrals of the world since their first international tour in 1990 (check out their website at www.cathedral.org.nz). Thousands of people choose to be in Lisbonâ€™s largest square at midnight, when the new year is welcomed in a festive atmosphere. Thatâ€™s where youâ€™ll be able to see the cityâ€™s fireworks show more closely, with the square and the river being flooded with a variety of colors and lights. 198 euros (per person and without drinks) gets you a Michelin-star ending to 2008 and start of 2009. Overlook Lisbon from Eleven, the restaurant standing at the top of Edward VII Park. Â If you get the right table, its special menu (at that special price) will also get you views of the fireworks at midnight taking place down by the river. On the menu youâ€™ll have both meat and fish courses and a varied selection of desserts. A cheaper but equally worthy alternative to Eleven is moving closer to the river and going for Virgulaâ€™s special New Yearâ€™s menu. Itâ€™s only 95 euros (without wine) and includes a special selection of two fish or meat dishes, ending with a chocolate pyramid for dessert. Last August, GoLisbon told you that the lounge-bar-restaurant-club Kubo was the place to be in the summer. Turns out it stayed open for the fall and it will only be closing its doors until the summer of 2009 on New Yearâ€™s Day. 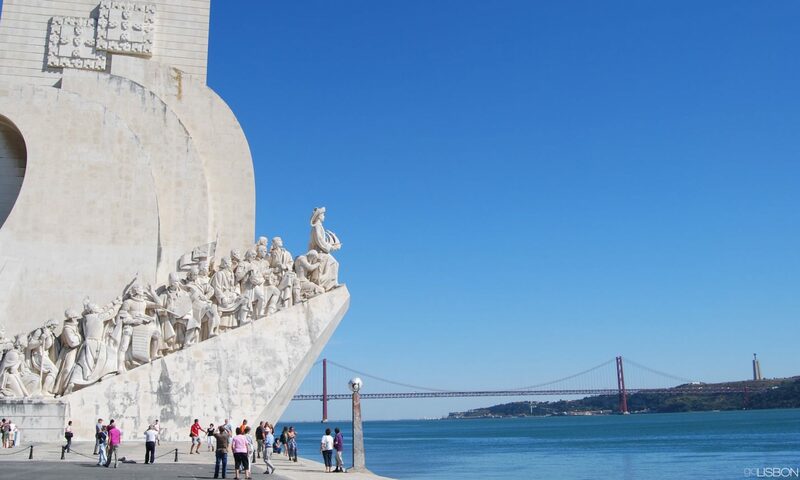 It made a few changes in its autumn season, and was no longer an open-air space, although it did it with glass, so the Tagus views are still there. The best way to guarantee a spot when midnight arrives is to go for dinner after 7PM and get ready for the New Yearâ€™s cheers which start at 10. If youâ€™ve been reading GoLisbon (and its blog), you already know that Lux is Lisbonâ€™s party house, and even after a decade since it opened, it still is the club with the most happening New Yearâ€™s celebrations. Do note that itâ€™s “New Yearâ€™s,” and not “New Yearsâ€™s Eve,” as it opens its doors when itâ€™s already 2009, at 1 in the morning. Lisbonâ€™s Lesboa parties originally had the cityâ€™s lesbian community in mind when they first took place, but theyâ€™re now special events (taking place every couple of months or so) for every lifestyle and gender. Those looking for a more casual and cheaper (45 euros) alternative to the traditional New Yearâ€™s Eve parties, this is the one to choose, with an open bar (champagne will be served at midnight) and city views from its hilltop location (Tapada da Ajuda). DJ Ivan Pica (ranked in a magazine as Spainâ€™s #1 house music DJ) and Miss Jools (from Berlin) will mix the music, and those staying until the morning will have breakfast available (hot chocolate and cake). See the Lesboa website for more. It is now mid-November, so the time to plan your holidays is here. If youâ€™re looking to escape to a warmer climate for New Yearâ€™s, somewhere with special celebrations but that wonâ€™t feel too foreign, the place for you is Portugalâ€™s Madeira island. Its New Yearâ€™s fireworks show is one of the most spectacular in Europe, and throughout the Christmas season its capital Funchal is filled with light and holiday spirit. Madeira is one of those places where you donâ€™t necessarily go to see monuments, but rather to enjoy a one-of-a-kind setting, a subtropical paradise as close to the EquatorÂ as it isÂ to Europe, but with a distinct European feeling (almost as British as Portuguese). It is also an island to experience what elsewhere may be unaffordable luxury to most of us, but that here is offered at reasonable prices. Open up a major travel publication ranking the best hotels Europe, and itâ€™s guaranteed that youâ€™ll see one from Madeira. Designed to provide the most breathtaking views of the Atlantic (inclusing from its garden and outdoor swimming pool), this luxurious hotel is for those looking for a romantic getaway, and the perfect gift for a special someone for the holidays. Travelers looking for the utmost sophistication should choose this hotel thatâ€™s constantly voted one of the best in Europe. It overlooks practically the entire island, and is comprised of bungalow-style units designed by architects and designers whoâ€™d previously worked on resorts in Malasya and Bora Bora. For a similar exotic experience in European territory, this is the place to go. A member of Design Hotels, this is the choice of young, cosmopolitan travelers who look for cuting edge interior design and sheer sophistication. Enjoy a meal by a 3-Michelin star chef at the restaurant and the deluxe rooftop spa at the end of your day. A 19th century mansion with luxurious gardens and stunning views was converted into this exclusive hotel. The dÃ©cor is classic elegance,Â which extends to the two restaurants offering first-class cuisine. Mature couples will love it, and itâ€™s ideal for a second honeymoon. 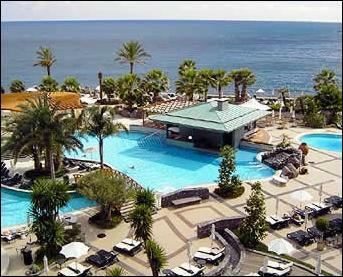 Youâ€™re practically standing on the Atlantic at this hotel that is a good choice for a family holiday. Thereâ€™s a large saltwater pool for adults, as well as a childrenâ€™s pool, mini golf, tennis court, and other sports facilities, in addition to private access to the sea.